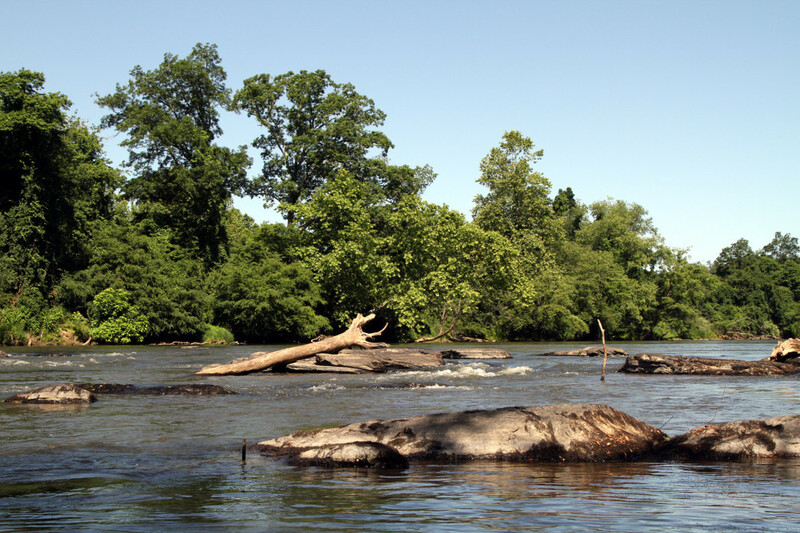 The French Broad Paddle Trail is a series of campsites along the French Broad River connecting over 140 miles of river. The paddle trail begins in Rosman, NC, taking paddlers over flat and whitewater. It passes through an incredibly beautiful geographical region of the Southeast. The French Broad Paddle Trail is a series of campsites along the French Broad River connecting over 140 miles of river. 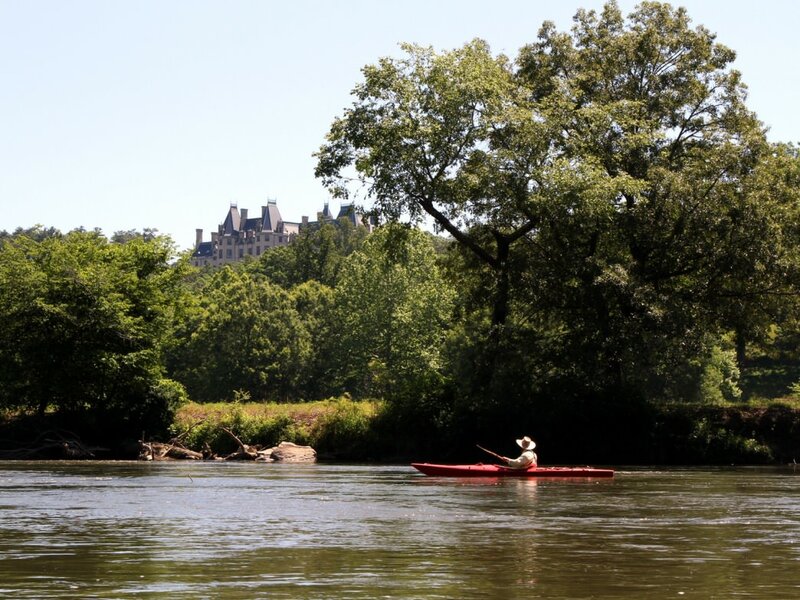 It was created by the Western North Carolina Alliance, a non-profit in Asheville that houses the French Broad Riverkeeper, who works to protect and promote the quality of the French Broad River and its tributaries. The paddle trail begins in Rosman, NC, taking paddlers over flat and whitewater. It passes through an incredibly beautiful geographical region of the Southeast. The Cherokee used to call it the “Long Man,” and its tributaries, “Chattering Children.” Later, European settlers deemed it the “French Broad.” The world’s 3rd oldest river has a majestic and ancient appeal. Flat water and whitewater paddlers alike will love the adventure the French Broad Paddle Trail provides. You can now paddle over 140 miles of the river from Rosman, NC to Douglas Lake, TN staying at campsites all along the way. The river begins in an area of rolling, shaded farmland, where the North and West Forks come together. As the river plunges through Pisgah and Cherokee National Forests, it eventually opens up to reveal mountains rising out of the water’s edge. The river is perfect for all skill levels, with the first 75 miles consisting of mainly flat water paddling and the rest offering a mix of class I, II, and III rapids. And you can spend one night or even several weeks exploring one of the world’s oldest rivers. Starting in Rosman, NC, the FB runs northwest through the funky and quaint North Carolinian towns of Brevard, Asheville, Weaverville, Marshall, Hot Springs, Del Rio and Newport (Tennessee). What’s great about this part of the country is the small town feel, with the eclectic charm of mountain culture. It also is the beer-capital of the eastern US. Pull off the river to some of the coolest bars and breweries in the country, all along your river adventure. History and nature buffs. Some sections of the FB make you feel like you’re in a prehistoric time. Other times, you’ll see a bald eagle and feel like singing the National Anthem. Still other times, you’ll float through a town and wonder how that place has been shaped by the river…and vice versa. 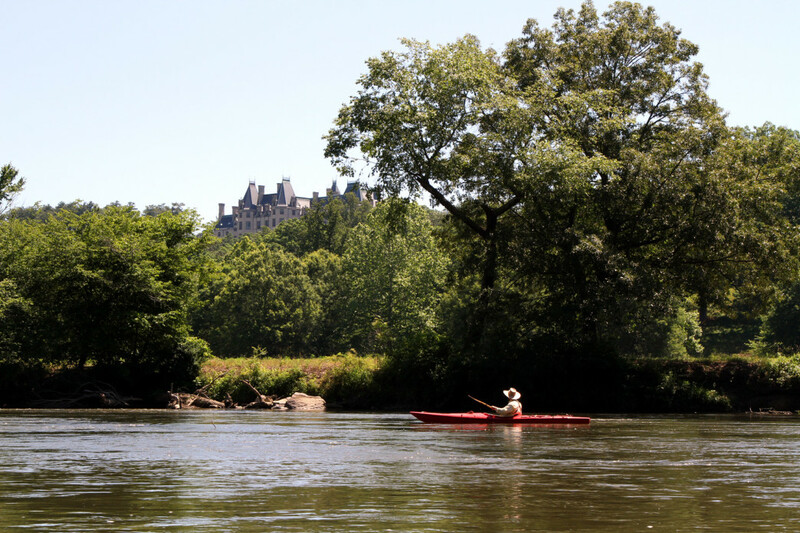 Visit French Broad River Paddle's website for all your logistical needs. At the website you can make a reservation, look at a map, find access points, or read about the campsites. Campsites are $25/night, with no limit on the number of your entourage. Plan your trip ahead of time, and know your river. There are 3 dams on the FB, and we discourage portaging all of them. These portages are very time-consuming and oftentimes dangerous. Try to plan your trip where you take out before these dams. To help plan your FB adventure, visit www.frenchbroadpaddle.com. They also have great, water-proof maps for sale ($15). The FB Paddle Trail is open 365 days a year. Campsites are strategically placed, so that paddlers can reach their sites within a single day. The longest distance between sites is 15 miles. The campsites are paddle-in only, meaning you’ll be far away from car-camping glampers. Remember these campsites are paddle-in sites, so don't leave a bunch of litter after your stay. It makes it very difficult for volunteers and French Broad River Paddle employees to clean up after, when they're already carrying lawn mowers and weed-eaters to do maintenance. So, practice leave-no-trace principles wherever you go, and have a great paddle.